In the past, monodisperse sorbents are only used in high-end chromatography and analysis columns. 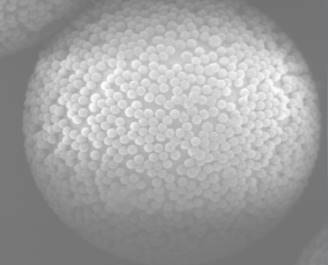 Under optical microscope, the first generation silica sorbents are irregular in shape and the second generation spherical polymer particles are broad in size distribution. Nano-Micro Uni series columns have advantages of higher loading and recovery, lower solvent usage, faster flow rate, more concentrated elution and reproducibility than those of the competitors. Nano-Micro Tech`s advanced manufacturing facilities and instruments as well as reliable procedures of quality control ensure the quality and reproducibility of the products. l World`s only supplier of monodisperse SPE sorbents. l Recovery equal to or higher than globally known brand name SPE columns. l High quality SPE sorbents similar to those employed in chromatography. Looking for ideal Liquid Solid Extraction Manufacturer & supplier ? We have a wide selection at great prices to help you get creative. All the Oasis Products Buy are quality guaranteed. We are China Origin Factory of SPE UniRPC 30-100. If you have any question, please feel free to contact us.